Unversity of Adelaide researchers are introducing a method to use bees to deliver disease control to cherry blossom, preventing brown rot in cherries. This is a new technique for Australia and a world first for cherry orchards with potential application in many horticultural industries. It will be demonstrated publicly for the first time at a field day today hosted by Cherry Growers of South Australia and the researchers at Lennane Orchards, Montacute. "Brown rot is caused by a fungus which significantly impacts the $150 million Australian cherry industry through costs of applying fungicide, yield loss and fruit spoilage," says project leader and bee researcher Dr Katja Hogendoorn, postdoctoral research associate with the University's School of Agriculture, Food and Wine. "All commercial cherry growers spray during flowering to control the later development of cherry brown rot. Instead of spraying fungicide, we're using bees to deliver a biological control agent right to the flowers where it is needed. This uses an innovative delivery method called entomovectoring." The biological control agent contains spores of a parasitic fungus that prevents another fungus that causes the brown rot from colonising the flower. Every morning, the cherry grower sprinkles the spores into a specially designed dispenser that has been fitted in front of the hive. The bees pick up the spores between their body hairs and bring them to the flowers. "The 'flying doctors' technology is used successfully in Europe to control strawberry grey mould, but it's the first time for Australia and the first time in cherry orchards anywhere," Dr Hogendoorn says. Dr Hogendoorn says the use of bees has many environmental and economic benefits compared to spraying fungicide. "The bees deliver control on target, every day," she says. "There is no spray drift or run-off into the environment, less use of heavy equipment, water, labour and fuel." 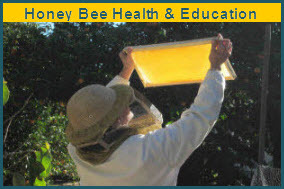 Dr Hogendoorn says adoption of the technique will have the additional benefit of building up the honey bee industry and the number of managed hives. 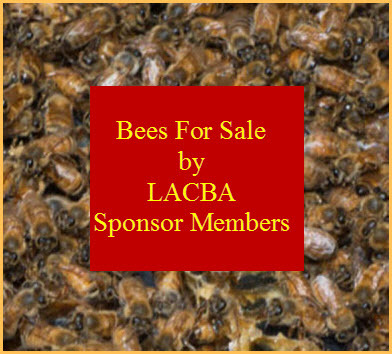 This will help prepare Australia for the expected incursion of the Varroa mite which is causing great damage and cost to bee and horticultural industries around the world. With increasing availability of suitable biological control agents, future application of the 'flying doctors' technology is expected to become available for disease control in almonds, grapes, strawberry, raspberry, apple, pear and stone fruit.